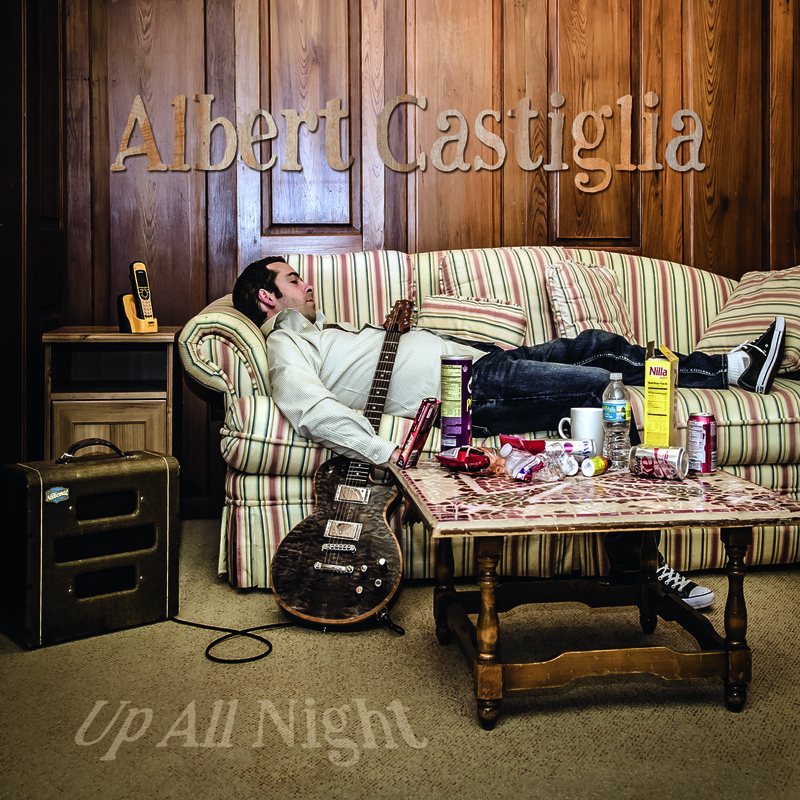 Released in 2017 on Ruf Records, Up All Night finds Castiglia in a creative swagger after last year's acclaimed Big Dog. What wasn't broke then hasn't been fixed now, with the bluesman once again recording at Dockside Studios, Louisiana, and capturing a warts-and-all mix alongside producer Mike Zito. "I figured since the Big Dog session went so well there, why change studios?" he reasons. "I'll probably record there for the rest of my life." Dockside might be home-turf, but any notion of a comfort zone was dispelled by an edgy new lineup who pushed their bandleader to the wire. 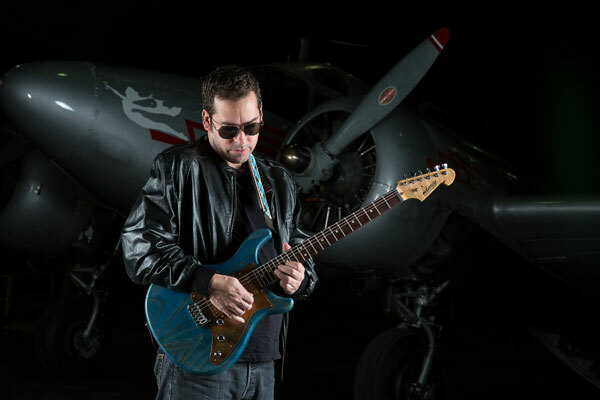 "Putting my new band together was a pivotal moment and this recent incarnation has really upped my game," says Castiglia. "My drummer, Brian Menendez, is very dynamic and gives me that extra spark. He's along the lines of a Ginger Baker or Mitch Mitchell. Jimmy Pritchard is my bass player and he's solid as a rock. His tone is fat and he's right on time. When I hear him, I think of Bill Wyman or Calvin 'Fuzz' Jones. It's a power trio with no boundaries or restrictions. It's a pretty amazing sound to me and it's reflective in Up All Night." Up All Night is what happens when fist-tight chemistry meets a songwriter firing on all cylinders. Flying out of the blocks and bottling ten songs on the first day, Castiglia shook the Dockside walls with the most powerful songs of his career. There's the stinging Hoodoo On Me. The strutting garage-band vibe and scream-it-back chorus of Three Legged Dog. The punchy call-and-response bar-room brawler that is Knocked Down Loaded. "That song was written with my frequent collaborator, Graham Wood Drout," says Castiglia, "and it brings me back to when I was a young musician and felt like I was ten feet tall and bulletproof." Other high-velocity cuts include 95 South's travelogue, decorated by the inimitable slide-guitar fairydust of Sonny Landreth ("That's about having to drive from Washington D.C. to my home in South Florida in the middle of a tropical storm"), while Chase Her Around The House splices an early rock 'n' roll vibe with an age-old male need ("It's about coming home and wanting to devour your significant other after being on the road for a long time"). 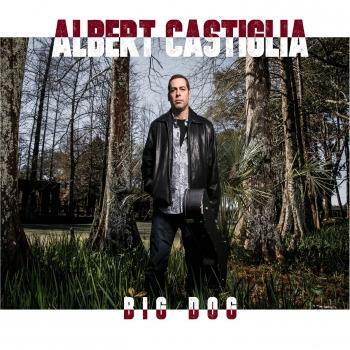 He'll pummel you with the rough stuff, but Castiglia can also shift gears to more contemplative moments, whether that's the rolling and contented acoustic blues of You Got Me To That Place, or its thematic opposite-man, Unhappy House Of Blues. "That song was co-written with Cyril Neville," he explains. "Cyril wrote the lyrics but I completely relate to them, because they bring me back to unhappier times when I was a struggling musician and I had no support from who I was with. I think anyone can relate to these tunes." This isn't Castiglia's first time around. Born on August 12th, 1969, in New York - before moving to Florida aged five - he made his professional debut in 1990 with Miami Blues Authority, but truly hit the international radar when Junior Wells invited him into his solo band for several world tours. "It was an incredible adventure," recalls Castiglia. "Ever since I was a kid, I wanted to be a Chicago bluesman. Junior opened the door for me to do that. He recorded his last studio album, Come On In This House, at Dockside. What a sign!" The gig was a shop-window, and though Wells died in 1998, there was no stopping Castiglia, whether he was joining the great Atlanta vocalist Sandra Hall for national tours in the late-'90s, or holding his own in onstage jams with everyone from Pinetop Perkins to John Primer. Nobody's sideman, his own burgeoning solo career began with 2002's Burn, followed up by 2006's A Stone's Throw, 2010's Keepin On and 2012's Living The Dream. In 2014, Ruf debut Solid Ground was declared "smouldering and intense" by The Blues Magazine, while last year's Big Dog was the thrilling culmination of a lifetime's craft, championed by Blues Blast's Kim Derr as "the best album I've listened to this year". That back catalogue is a high bar, but Up All Night raises it, defying you to sleep until you've worn out its 11 magnetic tracks. "You'll rock out and dance like nobody's watching," concludes Albert. "If you're sad, this record will lift you up. If you're already happy, this album will make you happier. You can listen to this album anywhere, anytime?" (pronounced “ka-STEEL-ya”) is Keepin On – and much more. 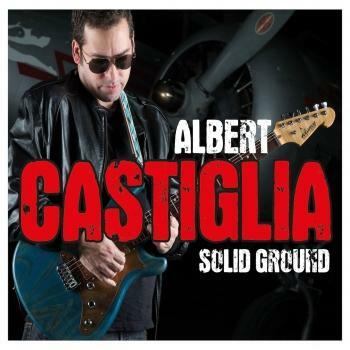 With the release of Castiglia’s 5th CD Keepin On, August 2010 on Blues Leaf Records (his third CD on this label), Albert is doing exactly what the title of the CD suggests. Having opened for ZZ Top, Elvin Bishop, and The Radiators, he’s quickly becoming a favorite high energy performer at festivals across the country. Castiglia’s history is as colorful as his home town of Miami, Florida, going back to 1990 when he played in a local Miami Band, The Miami Blues Authority, and won awards locally for “Best Blues Guitarist.” He got a big break after meeting the legendary Junior Wells in 1996, and soon became Junior’s lead guitar player before Wells died in 1998. Albert toured the U.S. and Europe with Junior and then found himself in Chicago when Junior passed. Soon though, he was touring again with Sandra Hall. He returned to South Florida after deciding to launch his solo career and went to work on his first CD, Burn (2002), a self-release, collaborating with his long time friend, Graham Wood Drout of Iko-Iko. Drout’s visceral, yet literary songs became the perfect vehicle for Castiglia’s soulful vocals. In 2006, he released A Stone’s Throw, his second album and first release for Blues Leaf Records, which included two of Drout’s insightful songs, “Big Toe” and “Ghosts of Mississippi.” Castiglia and Drout also released a live CD together, titled The Bittersweet Sessions, in 2005. The result is a fascinating journey into what Albert feels is his best work to date. Listen for yourself.